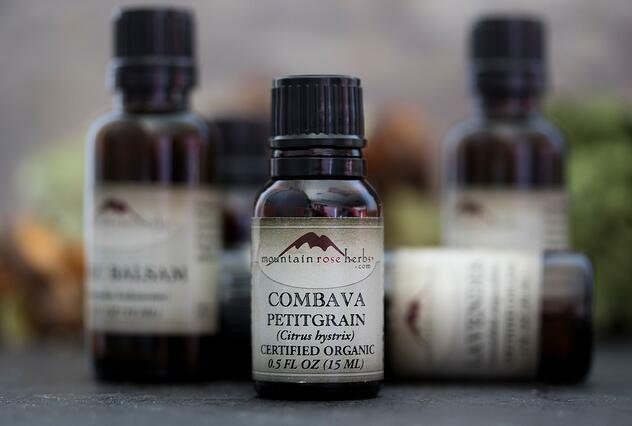 What Is Combava Petitgrain Essential Oil? This blog was originally published in 2014, but we noticed it was a blog reader favorite, so we decided to update it for you. Enjoy! 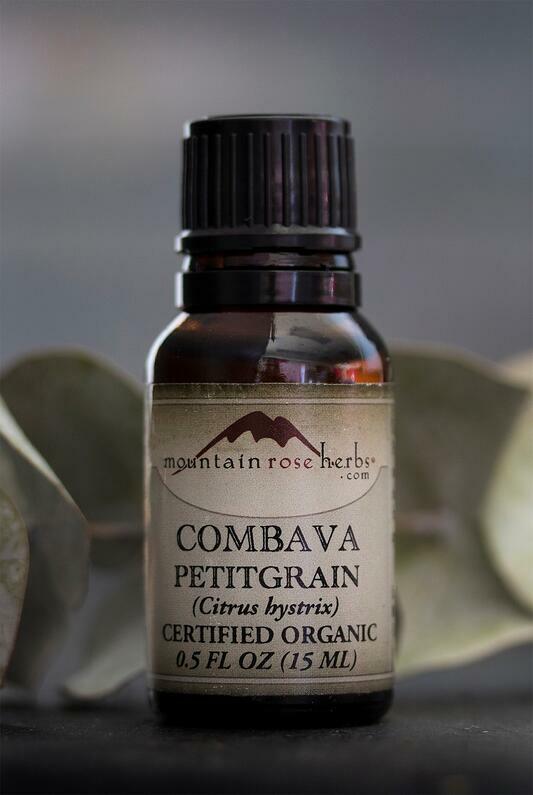 Combava petitgrain is a bright and uplifting essential oil that is distilled from the leaves and twigs of the Makrut Lime citrus bush, Citrus hystrix. This organic essential oil is used in fragrances and natural body care products. The oil has a soft, thick, citrusy scent with dry, woodsy back notes. It has a strong, long-lasting aroma, reminiscent of lemongrass and petitgrain. The major constituent is the aldehyde citronellal, which leads to some of the notable properties in the oil. With anywhere from 58-82% citronellal, combava has a higher content of this constituent than citronella oil. This oil blends well in fragrances and diffuser blends, and it can also be used as a substitute for citronella, lemongrass, and litsea cubeba oils. It blends well with citrus peel oils like bergamot or lemon, cedarwood, clary sage, forest-like oils like cypress or douglas fir, and frankincense, geranium, myrrh, rose, and sandalwood. This is not a complete list, merely a starting point for your blending creations. Pleasantly surprising and uplifting, this blend is heavy on the citrus with a bright and green forest-like aroma. Blend all oils together in a glass bottle, and allow to sit for at least 1 hour. Test the blend, and adjust for personal preference. Transfer to a reducer bottle for long term storage and easy dispensing. Add a few drops in your favorite diffuser and enjoy! Vetiver essential oil is quite thick. If your bottle has a reducer insert, we recommend removing it and using a glass dropper to dispense the oil. The drops will be slightly larger than other oils, which is okay. Want to learn more about blending? As Products Manager, Christine Rice has been working with the botanical goodies at Mountain Rose Herbs for over 14 years. With a Certificate in Aromatherapy from The American College of Healthcare Sciences, she works closely with the essential oils and hydrosols that we offer. 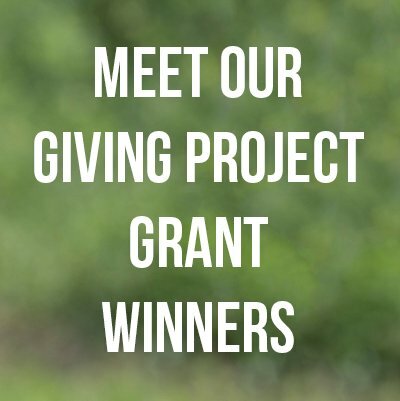 She connects with the aromatherapy industry through our National Association of Holistic Aromatherapy business membership and contributes on working committees with The American Herbal Products Association. In addition to her love for aromatics and blending essential oils, Christine can be found gardening and exploring the beautiful Pacific Northwest. 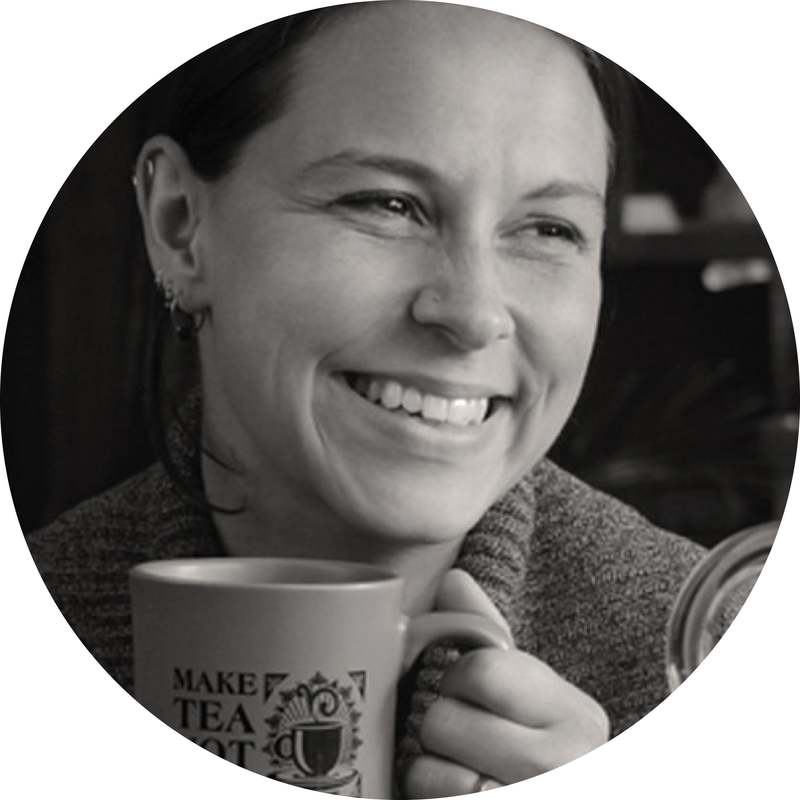 She enjoys canning and preserving food, knitting when she has time, and keeps busy with her energetic daughter.